Diamond Tools are our passion. 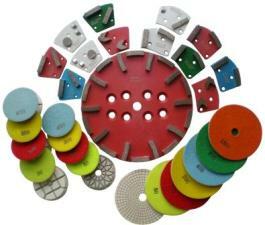 We focus on diamond tools for stone processing, for cutting, grinding, drilling and polishing for the professional user. Dr. Heinemann supplies retailers on the home market and abroad. We have been operating for more than 25 years on the market. Our top priorities are quality and prompt service. This is also the basis for a trusting and long lasting relationship with our customers. New and always harder materials are a major challenge for any craftsman. We have the solution for the fast and clean drilling of small and big holes even in the toughest materials. Refinishing old stone floors, grinding or polishing floors, whatever the application. Here you will find the suitable tools. More and more customers are convinced by our newly developed tile blade. This blade is “sharp” with an excellent cutting performance providing very clean and chip free cutting edges. Enjoy the first warming rays of the spring sun, the first blooming flowers and children searching for colorful eggs hidden between the fresh green. Innovative grinding cup with arrow segments for easy machine guidance when removing problematic coatings.